In his early twenties John left college and went searching for others ways of living. He felt that our education system was lacking something essential and that our culture was incredibly out of touch with the essence of life. He went on a sojourn not knowing exactly for what he was searching, he only knew he wanted to continue to play drums and to find a community to live in that was more in touch with the earth. That journey led him to a yoga ashram where he lived for five years. The ancient practice of call and response chanting called kirtan became part of his daily routine, as did yoga, drumming and meditation. The sangha and this way of living was deeply stirring, awakening and rewarding and changed the direction of John’s life. John went on to study percussion from around the globe in India, Turkey, Brazil, Africa, Cuba, Columbia and throughout the US. The healing power of the drum inspired him to continue on a richly rewarding quest to discover and support his gifts of music and spoken word. Combining his own poetry with drumming John released his first CD “This Rhythm Is Not Mine” in 2005. He released his second album “Eight”, an instrumental CD for yoga, in 2008. Sounds True re-released Eight under a new title in 2010 as “Rhythms Of The Infinite”. John appears on numerous recordings and performs regularly throughout the US. He has performed with Glen Velez, Eugene Friesen, Robert Bly, Baba Olatunji, Colman Barks, Jai Uttal, and many others. 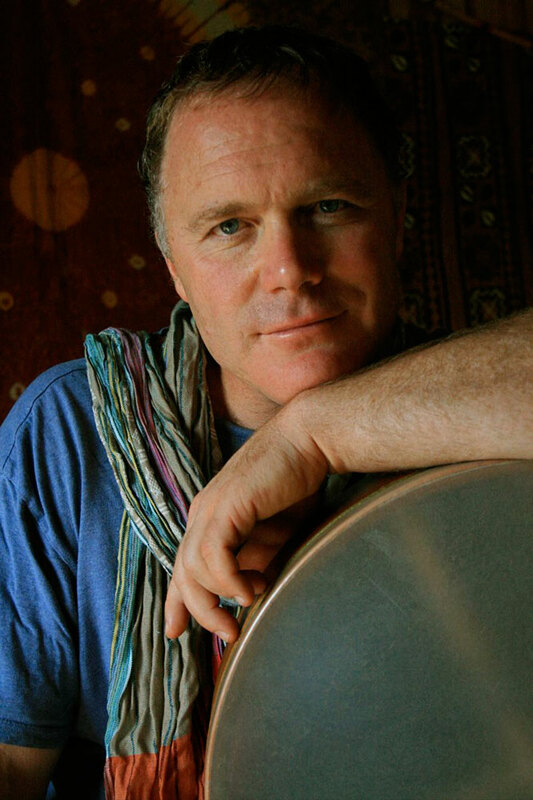 He has performed live nationally on NBC and PBS and he is a founding member of Sita and The Hanumen as well as The Nomads. John offers concerts and workshops internationally for festivals, retreats, schools, &amp; corporations. He is appreciated for his charisma, humor, percussion talent and poetic inspirations. John is also a licensed acupuncturist, herbalist and ayurvedic consultant. His music and spoken word whether upbeat or mellow is aimed at supporting and inspiring sacred movement and relaxation.